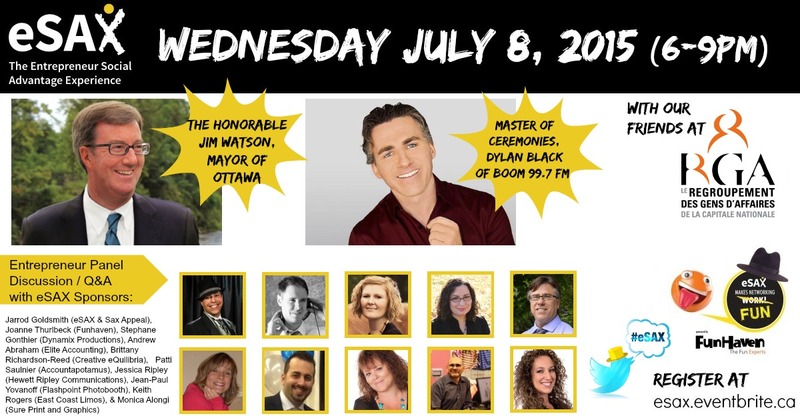 eSAX is an entrepreneur networking event that encourages startups to create connections, gain knowledge from featured speakers and promote collaboration among regional Chambers of Commerce. eSAX Ottawa Networking events are held every three months (January, April, July, and October) to coincide with the Y Enterprise Center’s Ontario Self-Employment Benefit Program (OSEB). 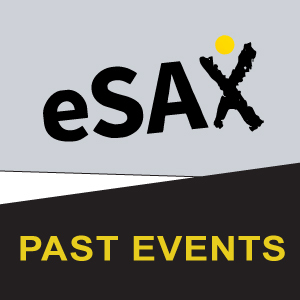 Join the eSAX Facebook Page or connect on Twitter using #eSAX to get the latest news, tips, and networking advice.